The Mr Shelf Static Pallet Racking system allows full selectivity and speed of operation which is the main objective. Pallets are fully accessible allowing easy access by Forklift or Reach Truck. The system has a large variety of Beams and Upright sizes and accessories that can be configured for the storage of Car Tyres, Hardware, Rolls of Carpet, Drums/Barrels, Off site or On-site Archiving, Long Loads, Large Boxes, Furniture, Beds & Mattresses, Coils and Reel storage systems. 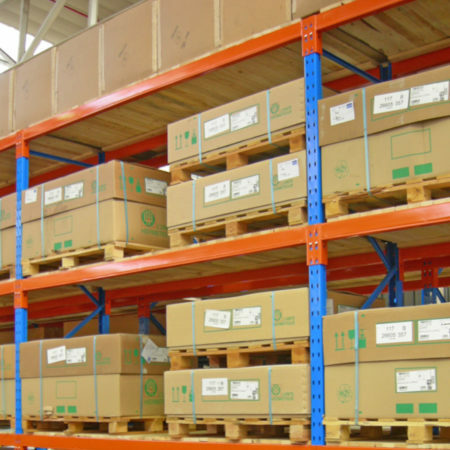 Please download the Pallet Racking brochure which contains all the relevant components and sizes. 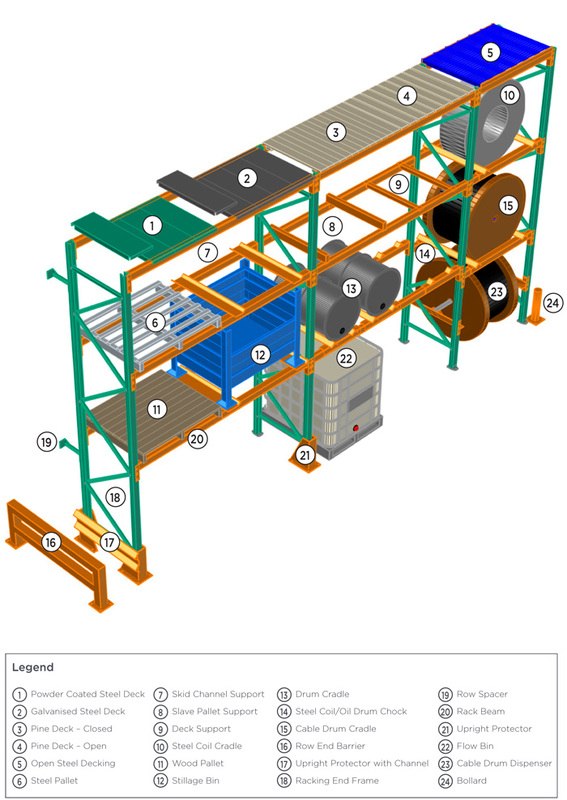 Also refer to the Static Pallet Racking & Support Beams section listed below the illustration, which also contains some great examples of this racking system. Add this product to your Cart and we will contact you to discuss a quotation.